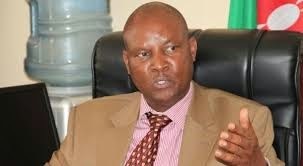 Nakuru county residents have petitioned Governor Kinuthia Mbugua to investigate the rising complaints on some of his ministers, chief officers and bureaucrats serving under him. Murmurs of the complaints from a cross-section of residents have started filtering out indicating that all is not well with the officer’s leadership style. Multiple sources intimated that some ministers are allegedly involved in fraudulent activities that are causing disquiet amongst some Nakuru residents and the county’s junior employees. Residents claim that some of the governor’s ministers and top officials are dishing out tenders to their friends and companies they are indirectly involved in under dubious circumstances. The Nakuru county assembly is said to be contemplating to discuss the financial and other misconduct of the county administrators under Kinuthia if the grievances persist. The complainants cited a case in which a Rongai-based politician who was given job at one of the Nakuru county subsidiary ventures has also been awarded two tenders at the county government. The politician has been given works of maintaining two roads at two different sub-counties in the county and residenst question the criteria under which he was awarded the work worth tens of millions soon after landing a job at the county. Further, the beneficiary is said to have influenced the county to employ his sister, a scenario that has not only caused a hue and cry from residents but also from some county employees. Local folks further assert that an individual who was fronted by another local politician to the county assembly during a past interview exercise employed his own wife when he was among the interview panelists which contradicts Chapter Six of the constitution. The man is said to have therefore, interviewed his own wife and recommended her for the job at the county which in total contravention of the law. Governor Kinuthia Mbugua has been asked by residents and county employees to investigate the criterion used in the two incidents of irregular employment and award of tenders. This comes in the wake of several letters of complaints written to the county by some of the bidders who complained of favouritism in the award of the tenders. However, the complainants have praised Mbugua’s efforts in the development of the county pointing out that as an administrator of long standing repute, he should be able to rid-off the vice and transform his officers into serving residents to accelerate development.